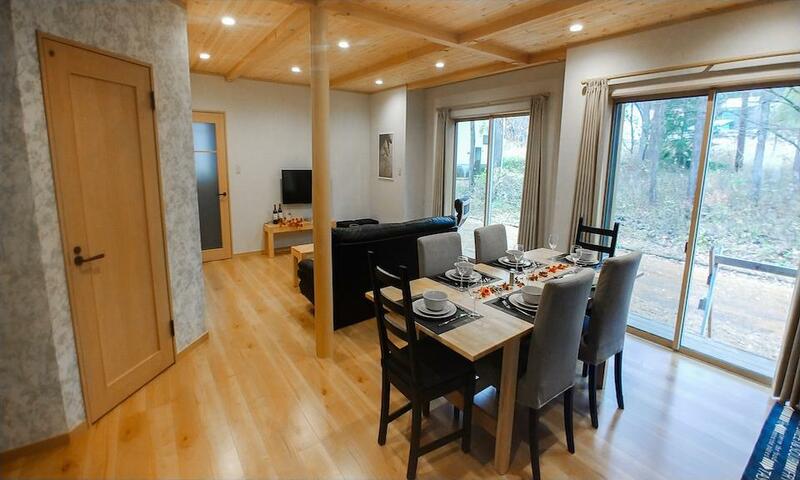 Hakuba Kitsune Cottages are smartly designed 3 bedroom chalets offering modern convenience. 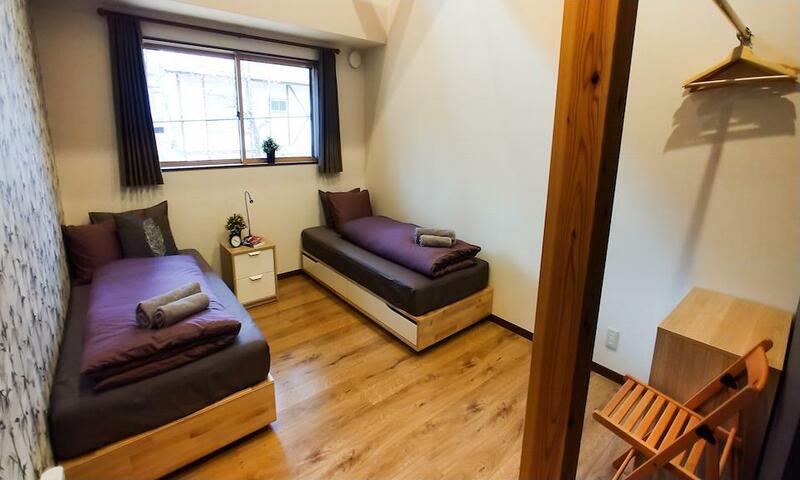 Located in Hakuba Echoland, Kitsune Cottages are located just a stroll away from the neighborhood’s lively scene. 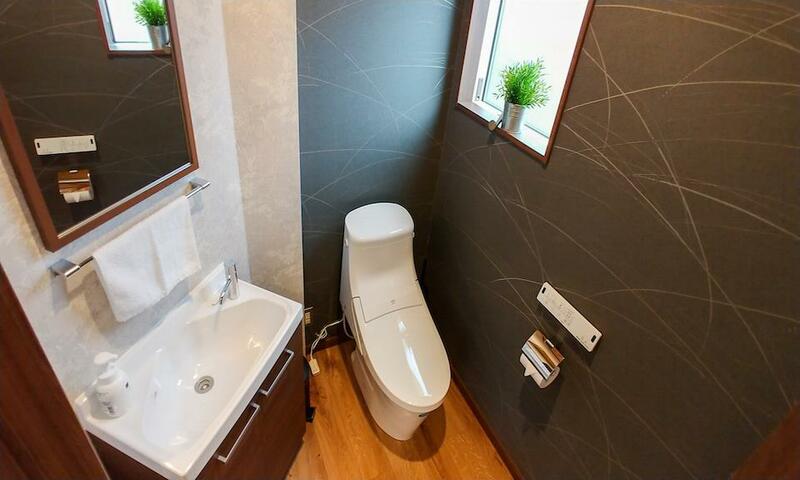 The effortlessly sleek and functional design make these contemporary chalets ideal ski accommodation. 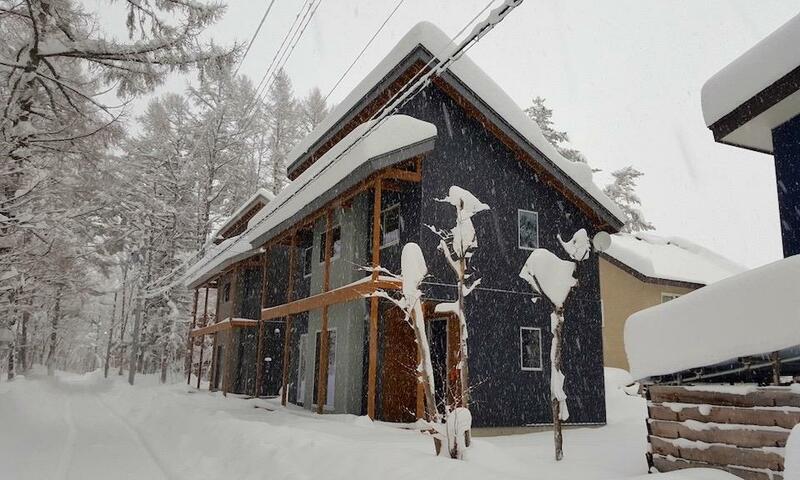 New from the 2016-2017 winter season, Hakuba Kitsune Cottages were built with the savvy traveler seeking functionality, convenience and style in mind. 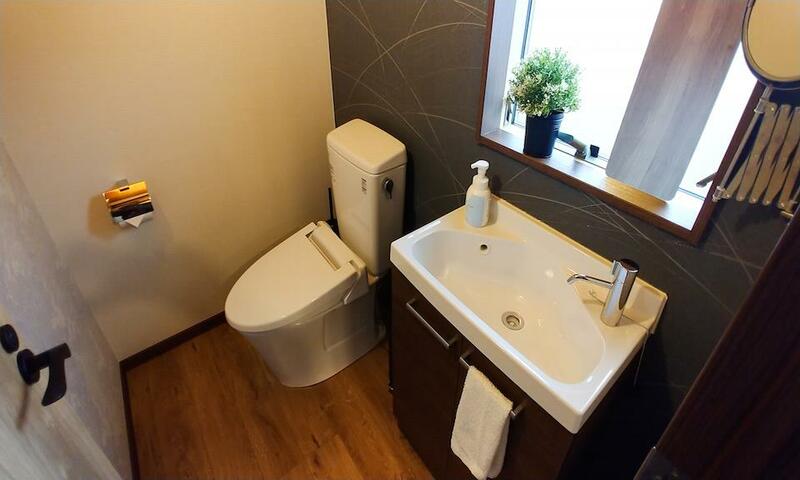 Kitsune Cottages' sleek and modernly designed 3 bedroom self-catering accommodation are located in a quiet area of Hakuba Echoland, within walking distance to the area’s bustling restaurant and bar scene. Vaulted ceilings, timber trimmings, plenty of natural lighting and wood flooring throughout offers a stylish touch and sets a natural tone to these beautiful, lofty homes. 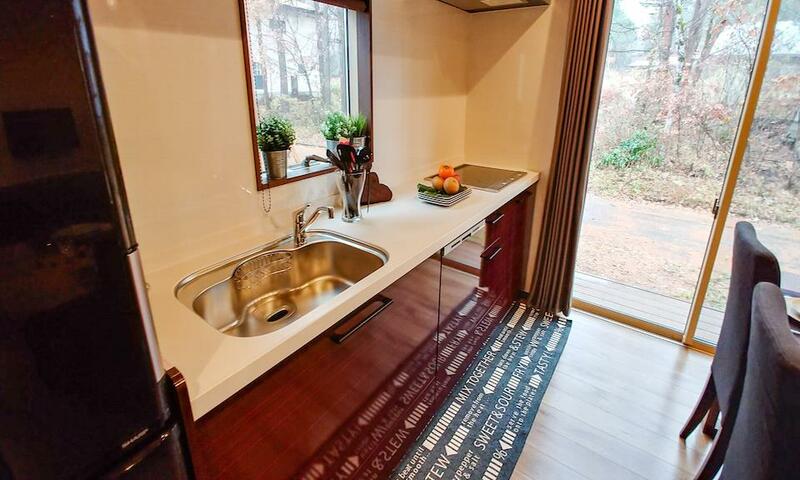 From the ground floor of Kitsune Cottages, enjoy the tranquil forest views from large sliding windows in the open-plan living dining and kitchen equipped with basic and modern appliances. 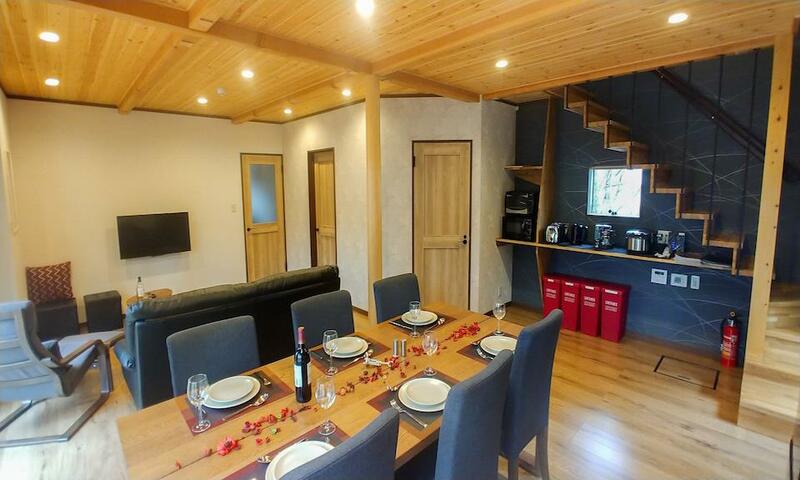 On the second floor, the cottage’s bright 3 bedrooms come with ample storage space and flexible bedding configurations making this an ideal choice for both families and groups of friends of up to 6. 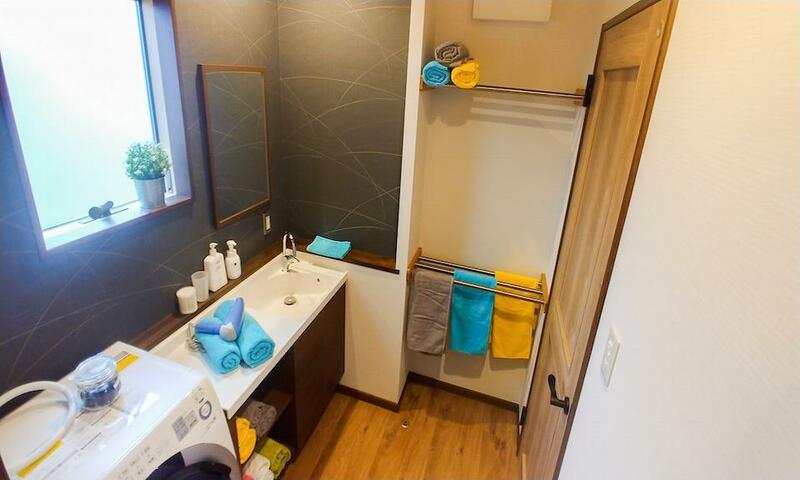 Kitsune Cottages also come with their own washer + dryer and a separate entrance way perfect for storing equipment. 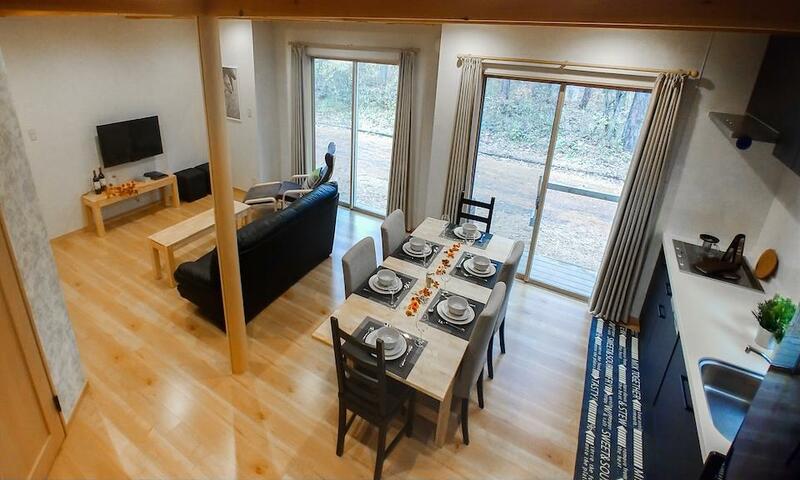 Hakuba Kitsune Cottages offer plenty of space and a functional layout for a comfortable, no-fuss holiday. 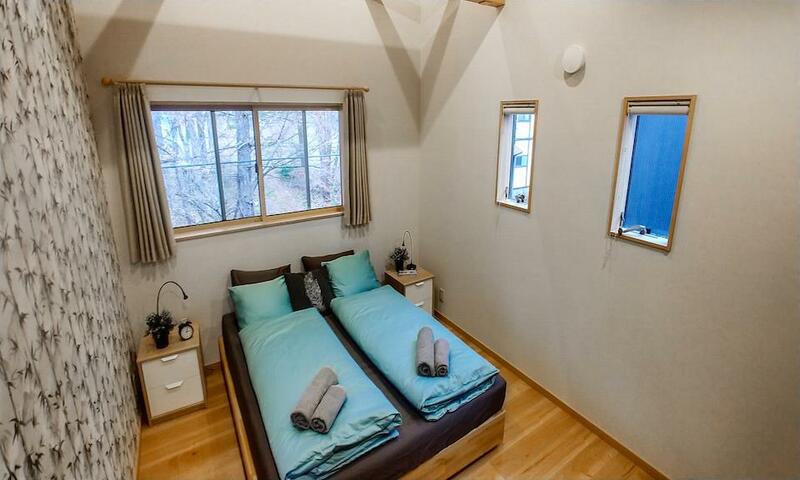 Hakuba Kitsune Cottages are located just off Echoland’s main strip boasting a quiet location while still having convenient access to Hakuba’s popular restaurants, cafes and bars, located just a short 300-500m away. Echoland is Hakuba’s popular apres ski dining and accommodation district. 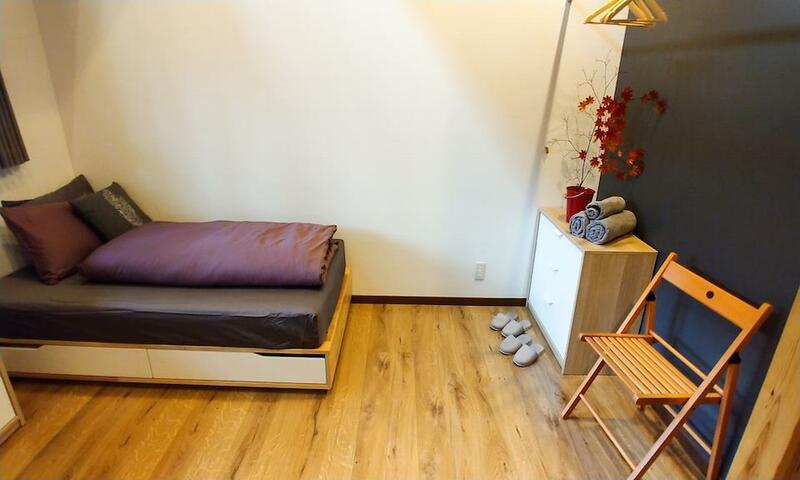 Home to the largest concentration of excellent restaurants, bars, cafes and shops all located together in one small area, it is very easy to walk from Kitsune Cottages and enjoy everything on offer. Whether you are looking for a traditional Japanese izakaya, Korean BBQ, sushi or the best coffee in town, you’ll find it all on Echoland’s main street. There’s also a convenience store and a few local ski & snowboard shops. 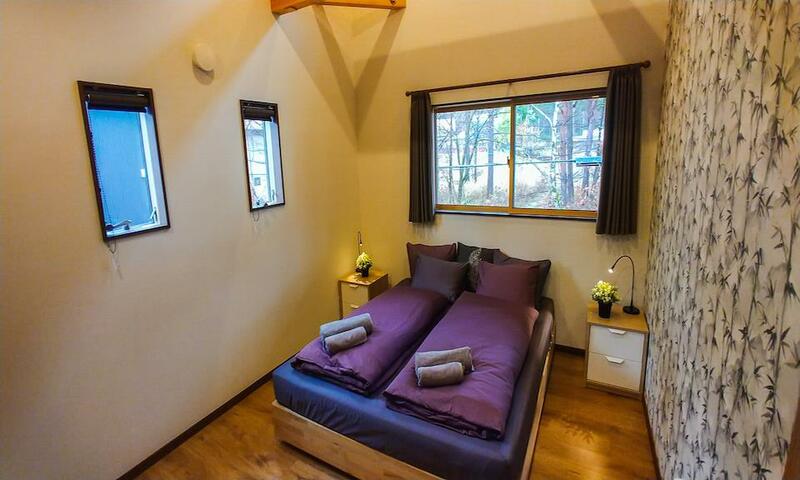 Echoland offers a fantastic base from which to explore the Hakuba Valley. Nestled in between Hakuba 47 and Happo One ski areas, the ski lifts can be accessed easily by free shuttle bus or rental vehicle. 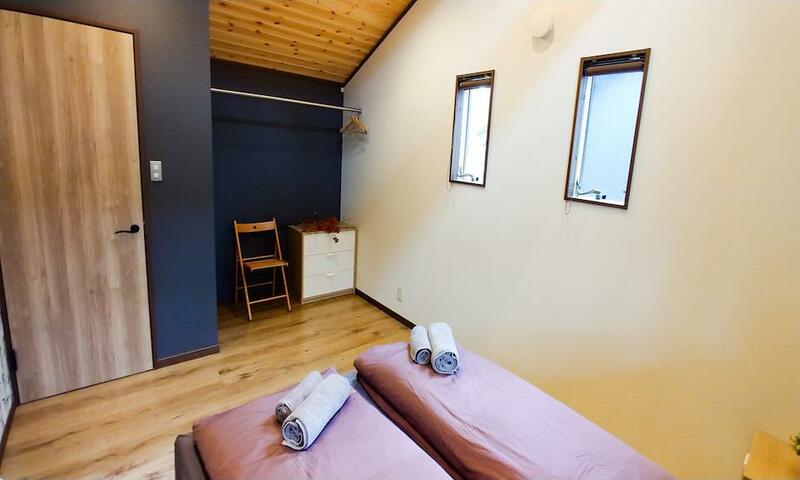 This makes Echoland a fantastic base from which to experience Hakuba’s less crowded resorts, such as Iwatake and Tsugaike – just a 10-15 minute drive away, with free parking. 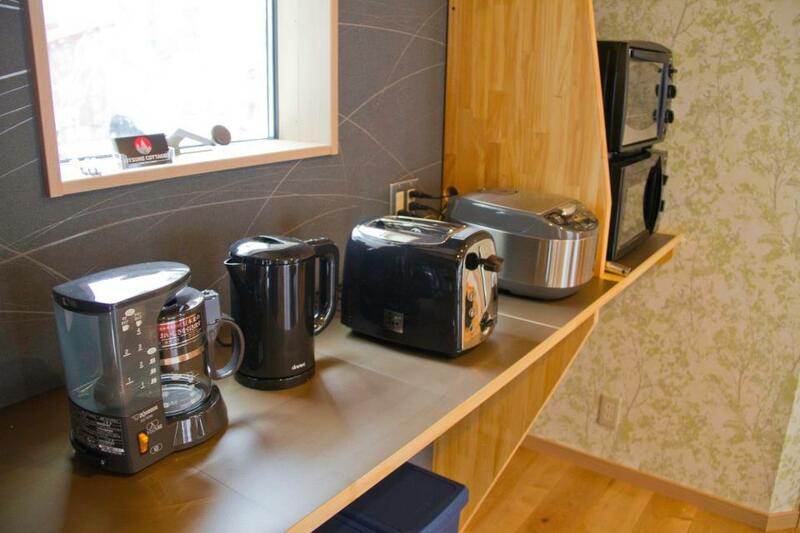 Hakuba’s brand-new transport hub 'Hakuba Basecamp' is also located in Echoland within easy reach of Kitsune Cottages.